Most clinically approved drugs (primarily small molecules or antibodies) are rapidly cleared from circulation and distribute throughout the body. As a consequence, only a small portion of the dose accumulates at the target site, leading to low efficacy and adverse side effects. Therefore, new delivery strategies are necessary to increase organ and tissue-specific delivery of therapeutic agents. 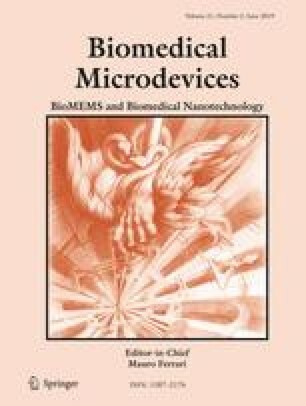 Nanoparticles provide a promising approach for prolonging the circulation time and improving the biodistribution of drugs. However, nanoparticles display several limitations, such as clearance by the immune systems and impaired diffusion in the tissue microenvironment. To overcome common nanoparticle limitations various functionalization and targeting strategies have been proposed. This review will discuss synthetic nanoparticle and extracellular vesicle delivery strategies that exploit organ-specific features to enhance drug accumulation at the target site. This work was mainly supported by Mayo Clinic, the University of Brescia. Among various sources of intramural funding, the authors particularly acknowledge support from the Mayo Clinic in Florida Focused Research Team Program and the Center for Regenerative Medicine. This work was also partially supported by the National Cancer Institute Physical Sciences-Oncology Network of the National Institutes of Health, under award number U54CA210181. The content is solely the responsibility of the authors and does not necessarily represent the official views of the National Institutes of Health.